The Passaic County housing market surged in the third quarter of 2015, with sales activity up dramatically but prices relatively flat. If we continue to see these kinds of increases in buyer demand, though, it’s only a matter of time before Passaic experiences meaningful price appreciation. Sales. Passaic sales were up dramatically in the second quarter, rising 22.3% from last year, marking the fourth straight quarter of year-over-year sales growth. Indeed, we’ve now seen sustained increases in buyer demand for over four years, with quarterly sales up in 16 out of the last 18 quarters. The 932 quarterly sales marked the highest total since the height of the seller’s market, and the 2,898 rolling year sales were more than in any calendar year since 2006. Prices. Even with this continued increase in buyer demand, though, we’re not yet seeing a meaningful sustained impact on pricing. For the quarter, pricing was mixed, with the average down 0.2% and the median up 3.3%. For the year, the results are a little more encouraging, with average up just a tick and the median up almost 2%. 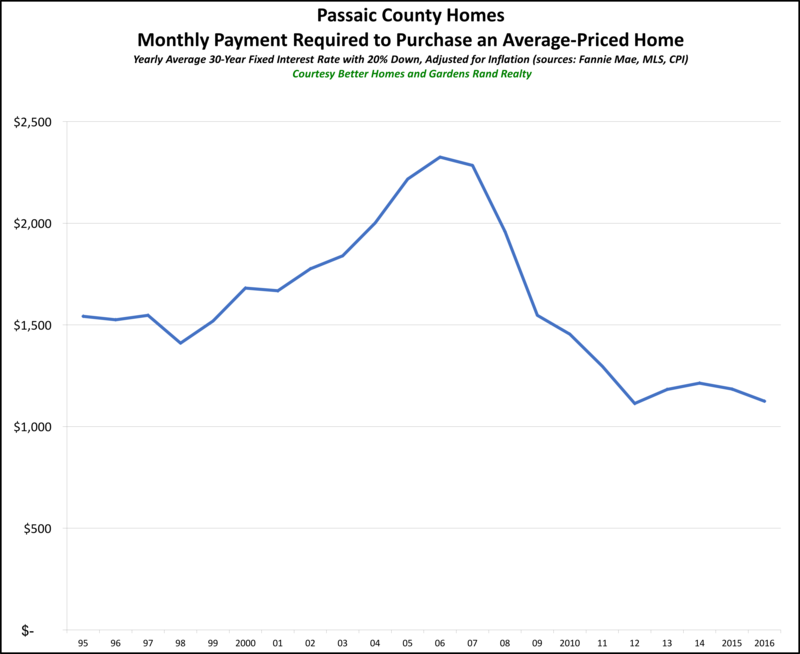 Passaic is still struggling to shake off the after-effects of the market correction, with pricing still at a non-inflation-adjusted 2003 level. Negotiability. The negotiability indicators did not reflect what we would expect to be the tightening effects of increased buyer demand. The days-on-market were up over 5% in the quarter, indicating that homes are taking a little longer to sell. And the listing retention rate fell pretty sharply, down to 96.3%, signaling that sellers are discounting more heavily to get into contract. 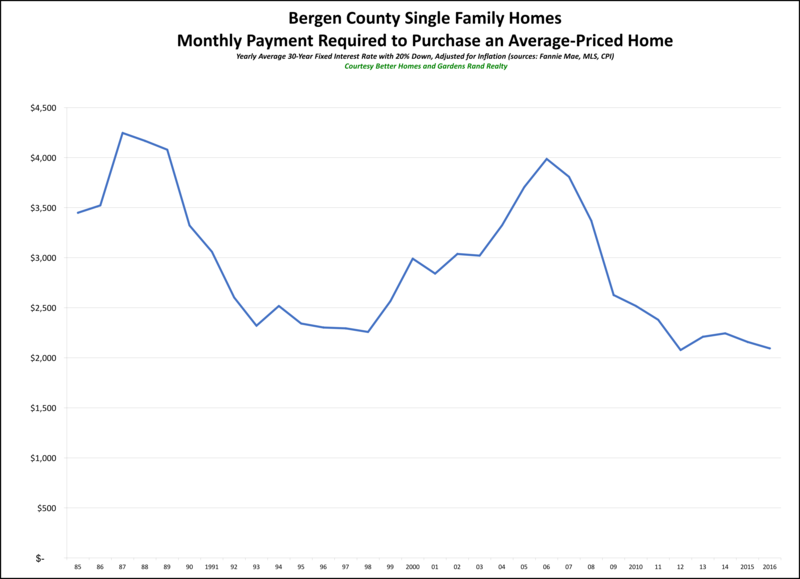 Going forward, we expect that Passaic County buyer demand will stay strong through the end of the year, but not necessarily at the rate of growth that we’re seeing right now. But the economic fundamentals are good: homes are priced at attractive levels, rates are near historic lows, and the economy is relatively stable. If buyer demand continues to stay at its current rates, we are bound to see some meaningful price appreciation in 2016. The housing market in Westchester and the Hudson Valley surged forward in the third quarter of 2015, with sales up dramatically throughout the region. More importantly, several counties showed signs of “green shoots” of meaningful price appreciation, reflecting the impact of the sustained increases in buyer demand that we’ve seen over the past few years. Home sales continued to spike, rising 19% throughout the region. This continued a trend we’ve been tracking for several years, with year-over-year regional sales now up for four out of the last five quarters and 12 out of the last 14. And the trend was widespread, with sales up in every county in the Rand Report: rising 6% in Westchester, 24% in Putnam, 27% in Rockland, 32% in Orange, and 47% in Dutchess. As you can see, sales growth was strongest in the lower-priced markets, which was also true within each county, where sales condo markets generally outpaced single-family homes. Indeed, we’re now seeing sales at “seller market” levels. The 4,500 single-family regional sales were the highest quarterly total since 2005, and the 13,000 rolling year transactions were the highest since 2007. To put this in perspective, those 13,000 rolling year transactions are about 20% below the 16,000-sale rate at the very height of the seller’s market in 2004-05, but about 60% higher than the 8,000-sale rate we experienced at the very bottom of the market in 2008-09. When it comes to transactional levels, we’re a lot closer to 2005 than 2009. We believe it’s only a matter of time before we start seeing meaningful price appreciation. As we have said before, it takes time for changes in market activity to impact market psychology. Back in the last seller’s market, sales fell for almost three years before we started to see prices start to go down. And while we’ve now seen over three years of increasing sales activity, we expect that buyers are still skeptical about pricing based on their vivid memories of the market correction of 2008-09. But basic economics tells us that when inventory is stable, and demand is going up, pricing is bound to increase eventually. Going forward, we expect the market to finish the year strong, with sustained buyer demand eventually driving meaningful price appreciation by the spring market of 2016. With pricing in most of the counties at non-inflation-adjusted 2003-04 levels, rates near historic lows, and a stabilized economy, we believe it’s just a matter of time before we enter a fairly robust seller’s market characterized by increasing demand, narrowing inventory, and rising prices.